New research demonstrates how the fat contained within the Western diet, in combination with genetic factors, can cause prostate cancer tumors to spread. The recent research consists of a set of papers published in the journals Nature Genetics and Nature Communications. The first author of the paper published in Nature Genetics is Ming Chen, Ph.D., a research fellow in the laboratory of senior author Dr. Pier Paolo Pandolfi, who is also the director of the Cancer Center and Cancer Research Institute at the Beth Israel Deaconess Medical Center in Boston, MA. The findings shed new light on the complex interplay between our genes and dietary fat, as well as on the role of this dynamic in promoting the spread, or metastasis, of prostate cancer. As Dr. Pandolfi says, the results of this research "are tremendously actionable, and they surely will convince you to change your lifestyle." Chen explains the motivation behind the research, saying, "Although it is widely postulated that a Western diet can promote prostate cancer progression, direct evidence supporting a strong association between dietary lipids and prostate cancer has been lacking." In fact, Medical News Today have reported on a variety of studies pointing to a link between the Western diet and the development of prostate cancer or colorectal cancer. One of these suggested that men who follow a Western diet have a two and a half times higher risk of dying from prostate cancer than those who followed a diet richer in fruit, vegetables, and whole grains. Dr. Pandolfi and team found additional evidence that the Western diet drives prostate cancer while they were researching the genetic culprits that cause the disease to spread. However, the researchers explain that studies have also shown that the loss of this gene is not enough to trigger metastasis on its own. So, Dr. Pandolfi and colleagues analyzed the genomic data available on tumors to see whether there was another gene that "collaborated" with PTEN to cause metastasis. They discovered that PML — another tumor-suppressing gene — was found in prostate cancer tumors that did not spread. It was not found in tumors that did spread. Additionally, approximately 20 percent of the tumors that did spread lacked both of the tumor-suppressing genes. Importantly, when analyzing these metastasizing tumors, the researchers also found that their cells produced abnormally high amounts of fat. "It was as though we'd found the tumors' lipogenic, or fat production, switch," Dr. Pandolfi explains. "The implication is, if there's a switch, maybe there's a drug with which we can block this switch and maybe we can prevent metastasis or even cure metastatic prostate cancer," Dr. Pandolfi adds. So, the researchers applied an obesity drug called fatostatin to mice that were fed a normal, low-fat, vegetable-based diet. "The obesity drug blocked the lipogenesis fantastically and the tumors regressed and didn't metastasize," Dr. Pandolfi reports. However, when the scientists upped the amount of fat in the mice's diet — so that it would mimic the Western diet — the rodents grew metastatic tumors. 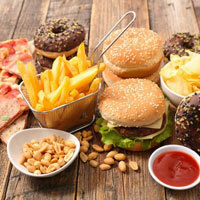 This points to a high-fat diet as the main environmental — that is, non-genetic — factor in the spread of prostate cancer. This could be done either by using fatostatin or other fat-blocking drugs, or through dietary interventions. "The progression of cancer to the metastatic stage represents a pivotal event that influences patient outcomes and the therapeutic options available to patients," Dr. Pandolfi says.